Mountain House lost to WAC co-league leader the Beyer Patriots 68-56 as they recognized the 4 seniors on the team on Senior night. The game was competitive all four quarters, with Beyer point guard senior Alyssa Jones continually putting pressure on the Mustangs. Mountain House had sophomore Maya Gorman guarding her in a box in one defense and to her credit, Gorman made her work for everything. Beyer had a little bit more rebounding to come out with the 68-56 win. Mountain House were led by junior Natalia Moore-Raygoza’s 19 points and senior Andrea Garcia’s 16 points with senior Taylor Tameta-Arenas contributing 9 points. 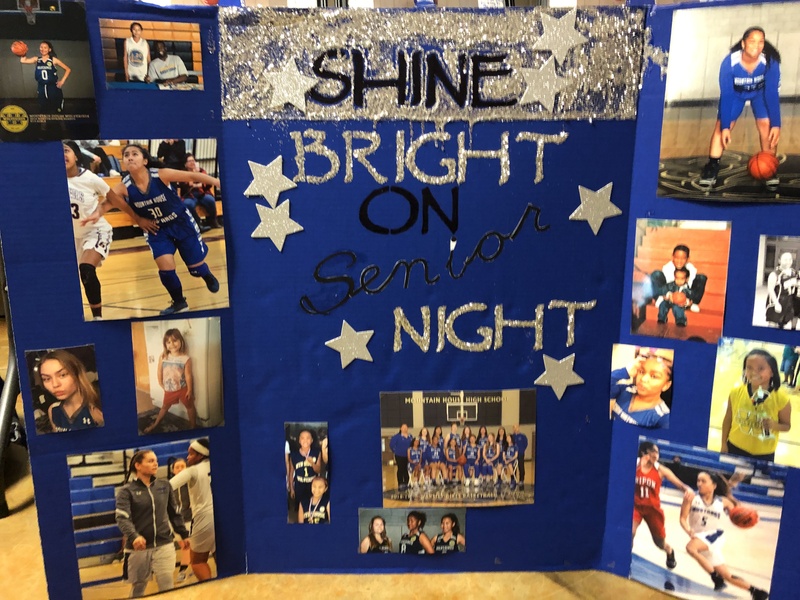 Mountain House seniors Andrea Garcia, Taylor Tameta- Arenas, Lalique Perkins and Dallas Carpenter were recognized prior to the game for Senior Night. Each student had one of their underclassmen teammates read their senior message as they walked out with their parents. Particularly, senior Andrea Garcia’s 4 years as Varsity point guard and all-time leader in scoring, assists and steals establishes her as not only a founding member, but a Hall of Fame member of the Mountain House Mustangs Girls Varsity Basketball program. All four seniors will be missed! The Mustangs now go on the road for their final three league games of the year. Their road-heavy schedule begins with the Lathrop Spartans on Thursday January 31, 2019.